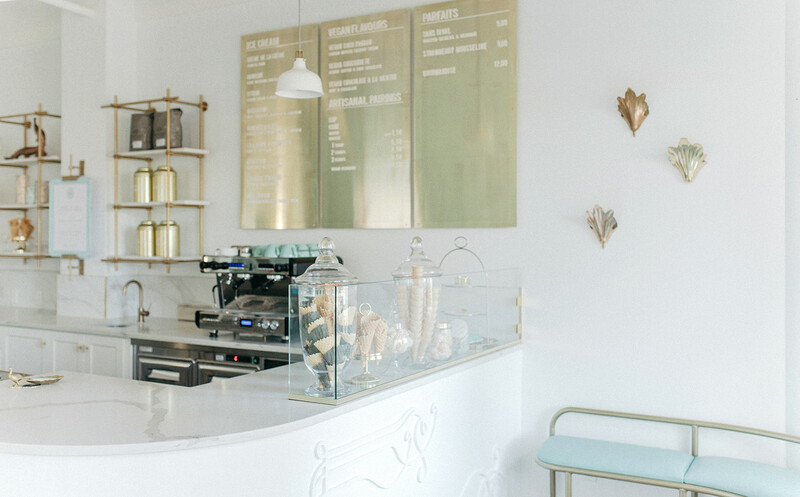 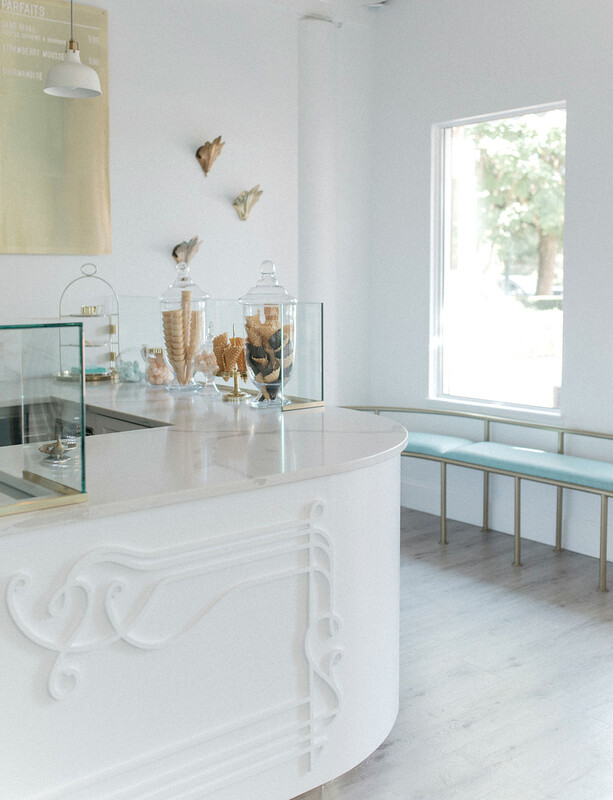 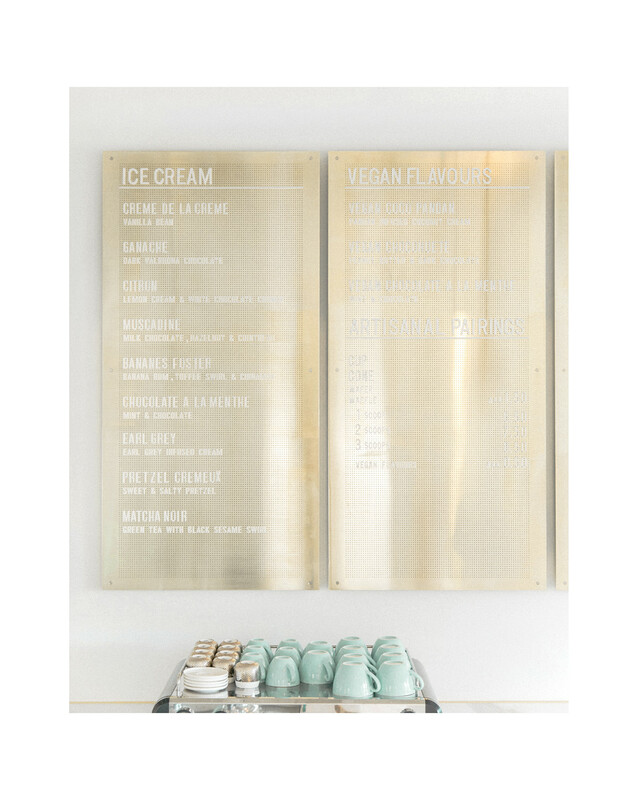 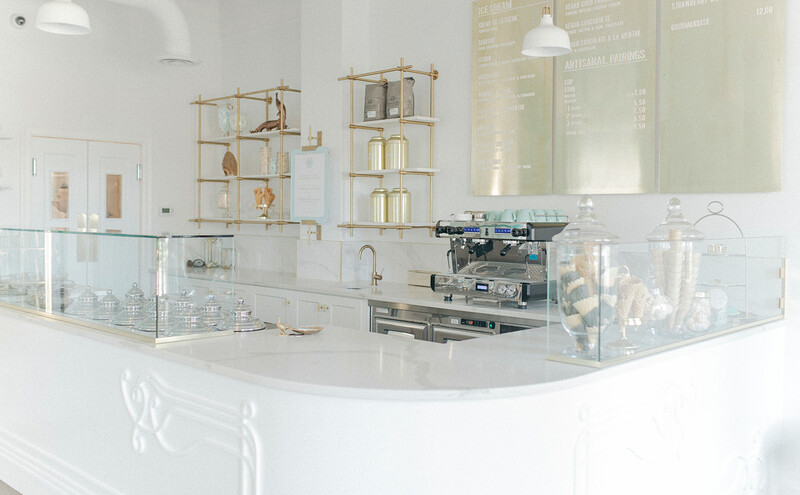 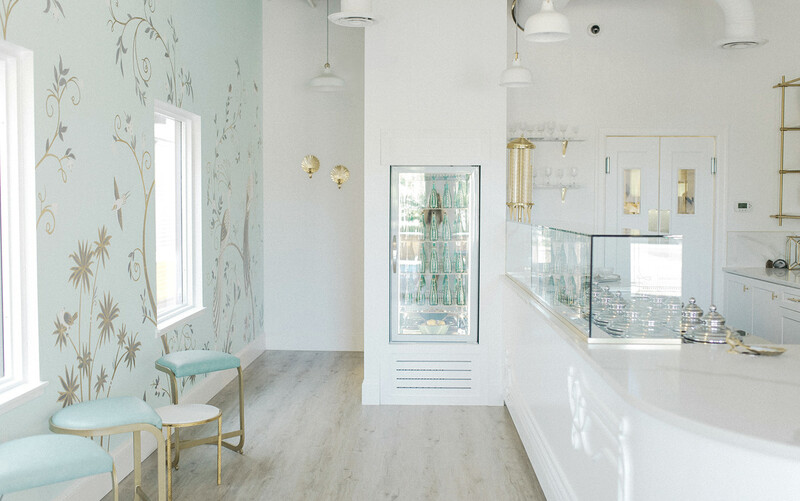 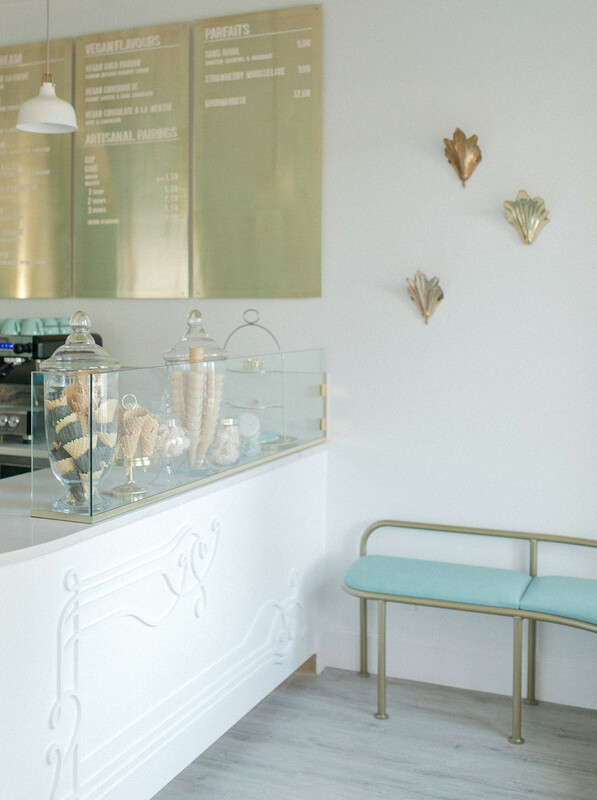 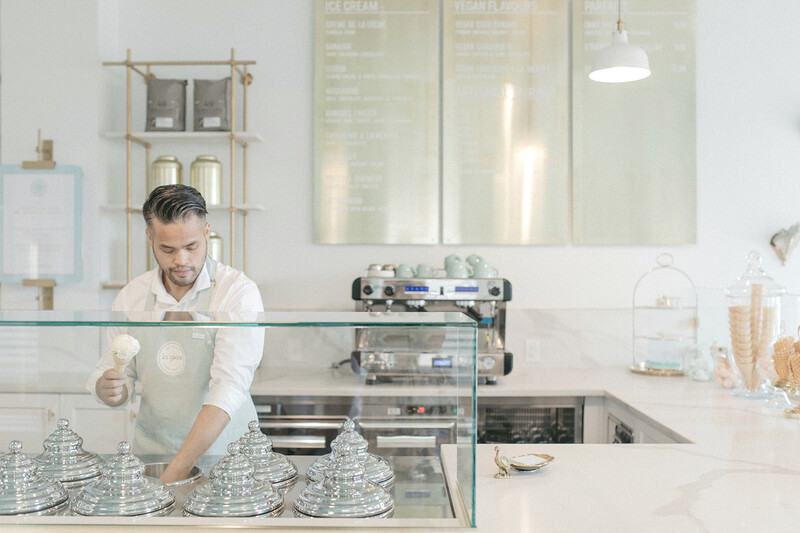 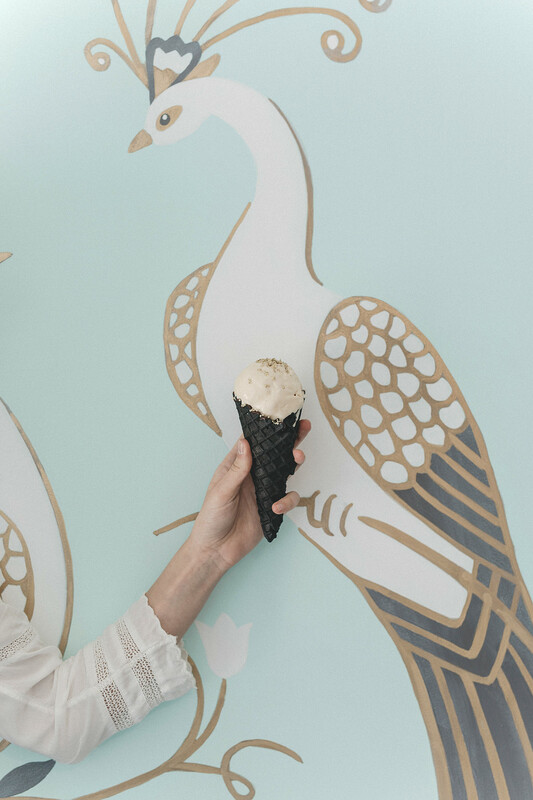 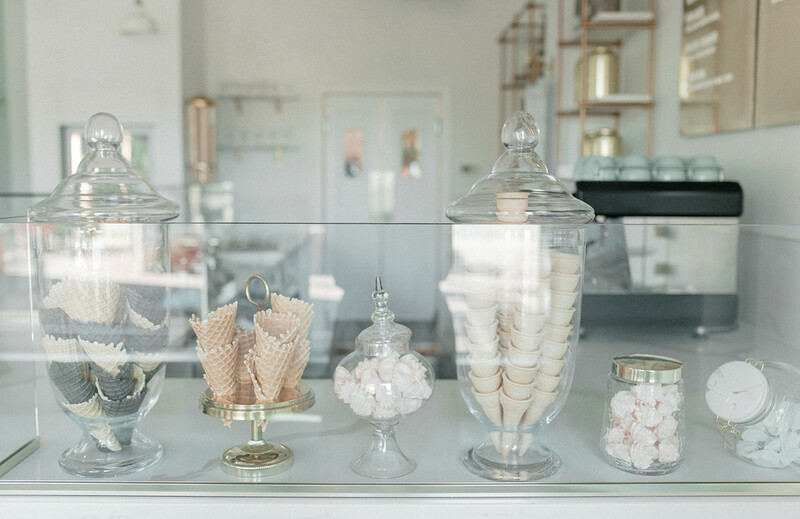 We're smitten with creative ideas agency Arithmetic's branding work for La Glace, a gourmet ice cream shop located in Vancouver. 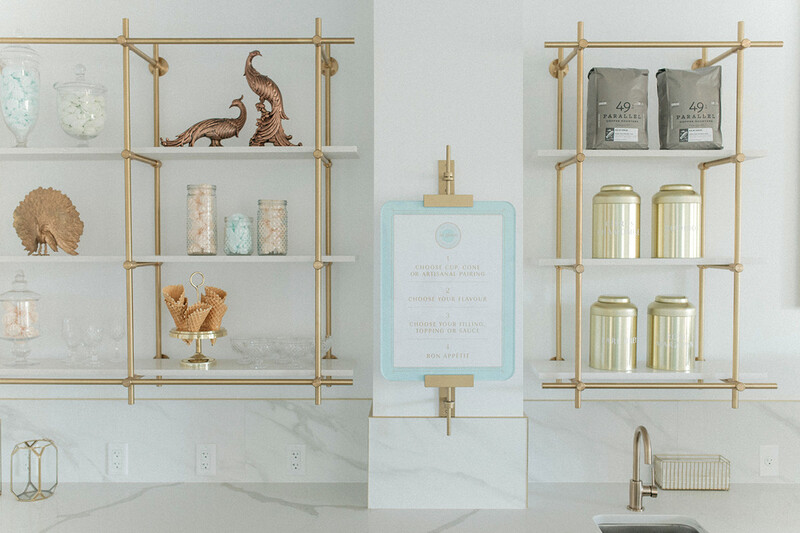 The team tapped into the notion that life’s best moments are bettered when cherished together as the core sentiment to express through the design details. 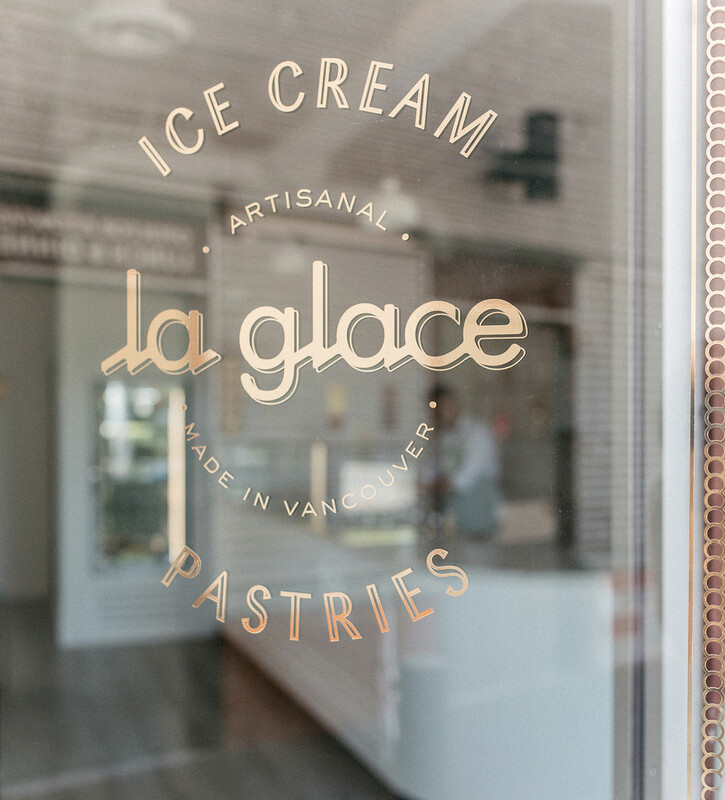 You immediately taste the passion and heart that was poured into the work to create an emotional brand experience for La Glace from the interior design, furniture design, branding, custom packaging, wall mural art, art direction to the custom apron and uniform design, custom ice cream vessel design, brass menu board and retail signage. 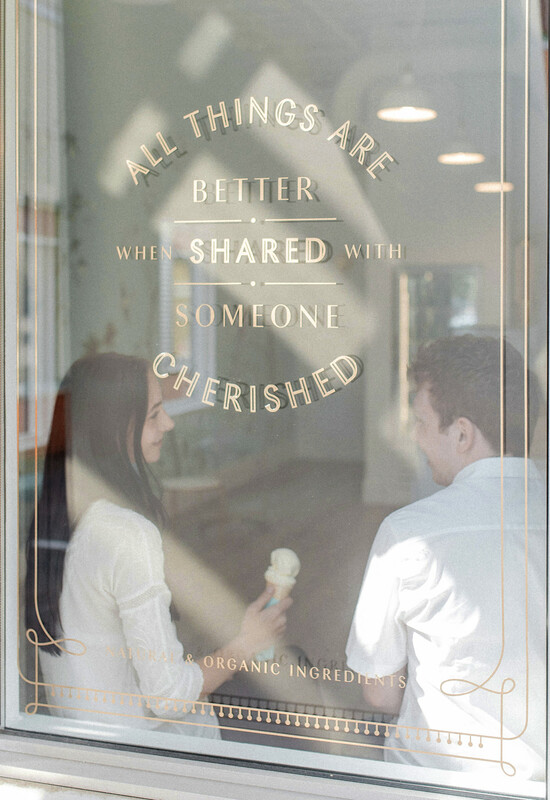 The most important emotional value was for the brand and all touch points to embody love and invite connection. 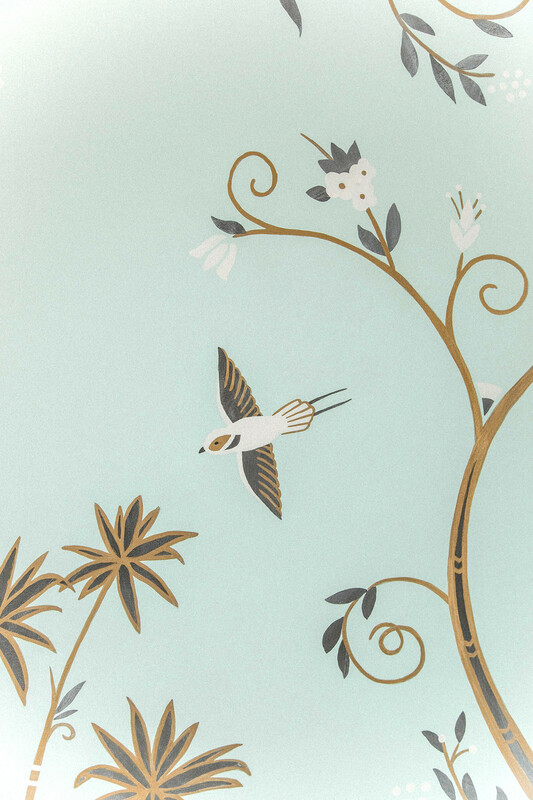 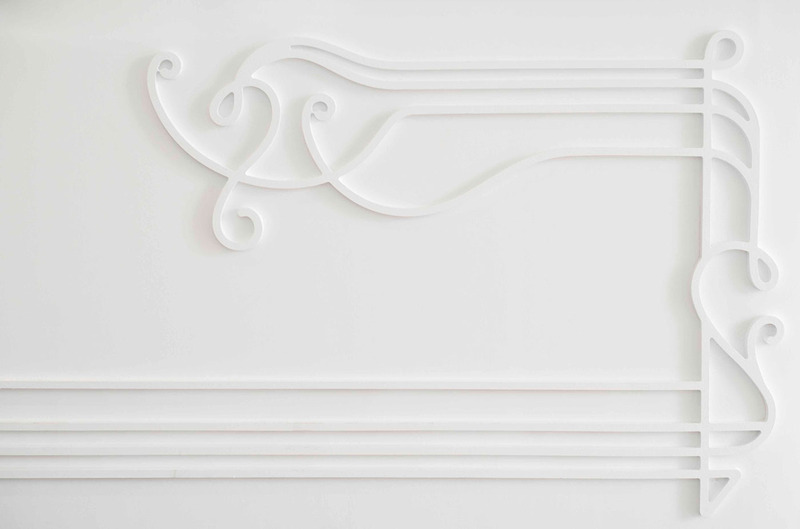 The overarching inspiration for the art direction was born from a fascination of the mid-war transitional period between Art Nouveau and Art Deco and those details can be found throughout the space. 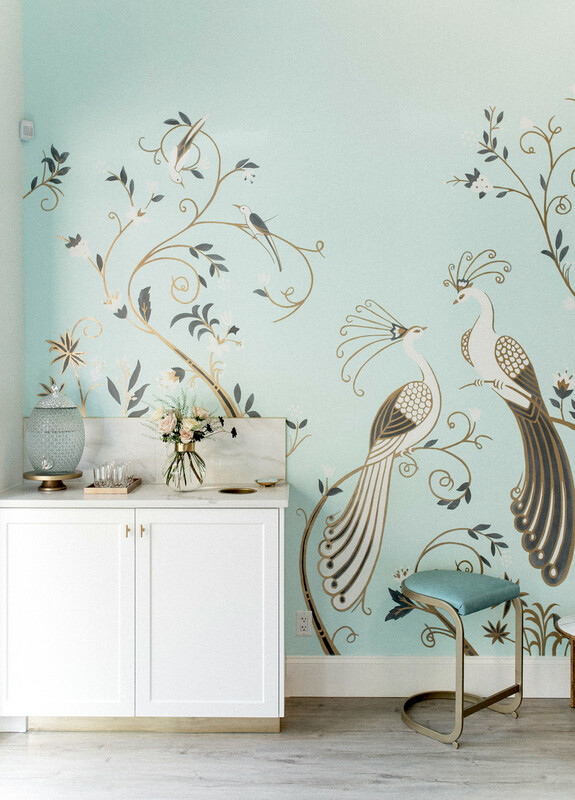 The end result, a beautiful marriage of two distinct periods that connects and integrates different design movements in one gorgeous setting that results in a unique brand experience. 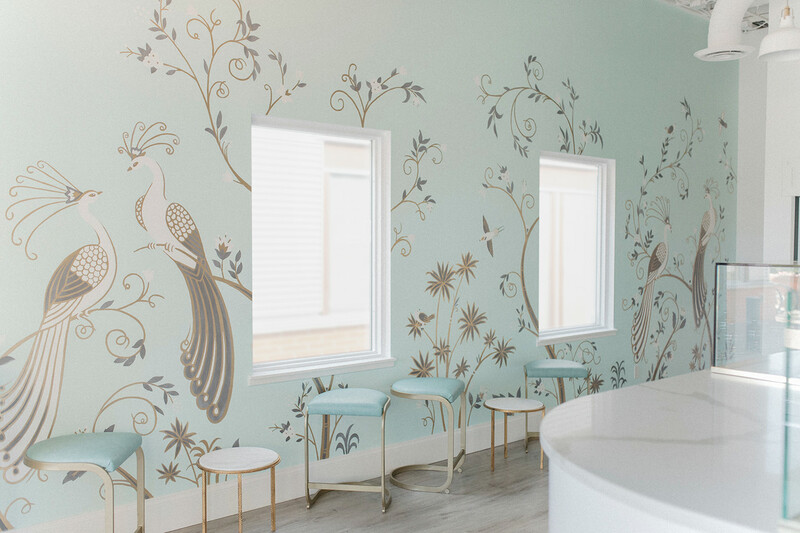 We focused on harnessing sentimentality for the past - we leveraged the idea of nostalgia to create a space that would send people somewhere romantic and trigger positive memories. 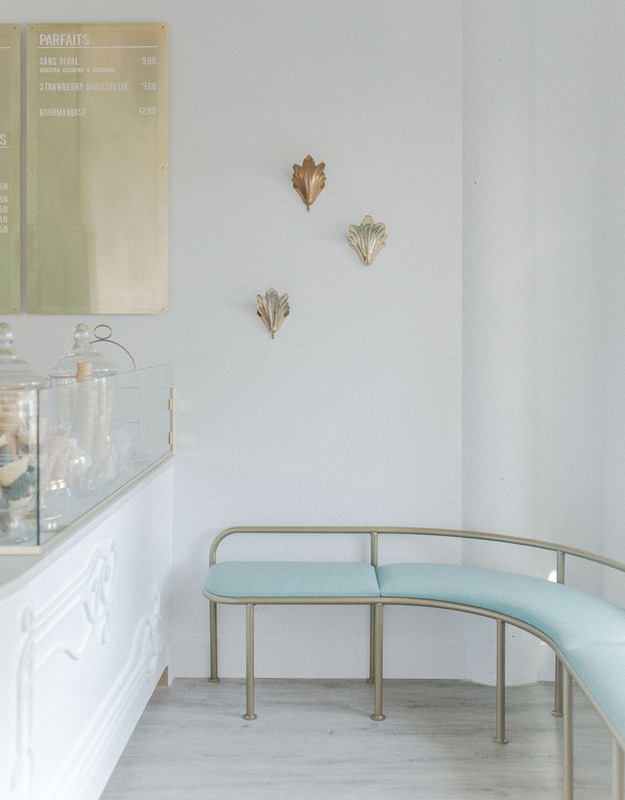 Elements such as brass, marble, the rounded bar and most of all, the colour mint evoke this notion.